Accessible rooms are wheel chair accessible, featuring bathroom rails and shower bars. 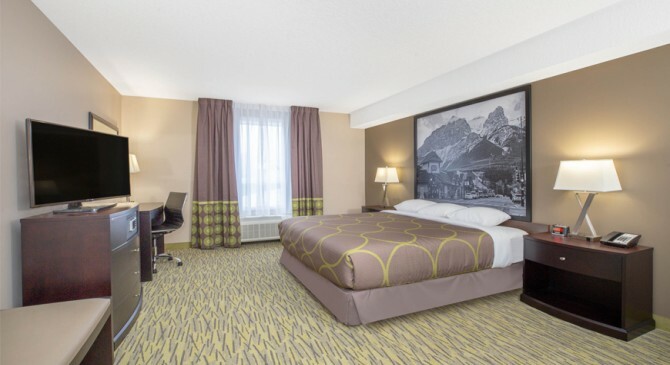 This non-smoking guest room offers single King bed for 2 guests and includes free breakfast, mini-refrigerator, microwave, coffee/tea maker, high-speed Wi-Fi/Wired internet, cable TV, air conditioning, in-room safe, iron/ironing board, and hairdryer to ensure comfort throughout your stay. 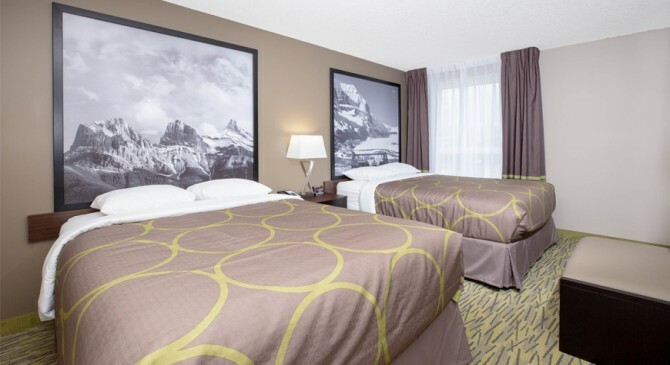 This non-smoking guest room offers 2 queen beds for up to 4 guests. The room includes free breakfast,mini-refrigerator, microwave, coffee/tea maker,free high-speed Wi-Fi/Wired internet, cable TV, Air conditioning, in-room safe, iron/ironing board, and hairdryer to ensure comfort throughout your stay. 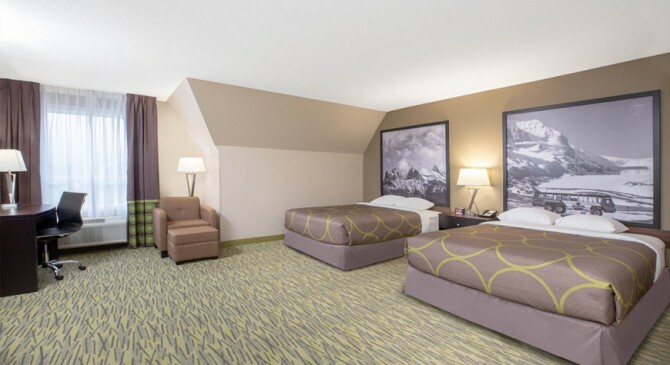 This non-smoking guest room offers 2 queen beds for up to 4 guests. The room includes free breakfast, mini-refrigerator, microwave, coffee/tea maker,free high-speed Wi-Fi/Wired internet, cable TV, Air conditioning, in-room safe, iron/ironing board, and hairdryer to ensure comfort throughout your stay. 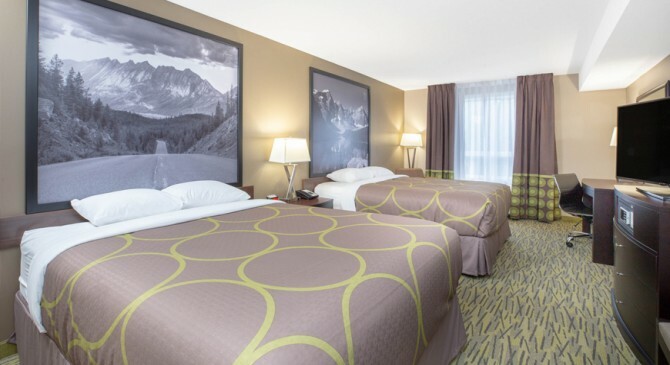 This non-smoking efficiency guest room offers 2 queen beds, kitchenette for up to 4 guests. 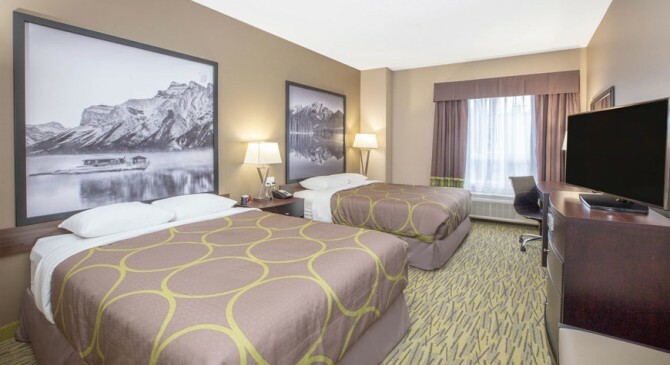 The room includes free breakfast, mini-refrigerator, microwave, toaster, coffee/tea maker,free high-speed Wi-Fi/Wired internet, cable TV, Air conditioning, in-room safe, iron/ironing board, and hairdryer to ensure comfort throughout your stay. 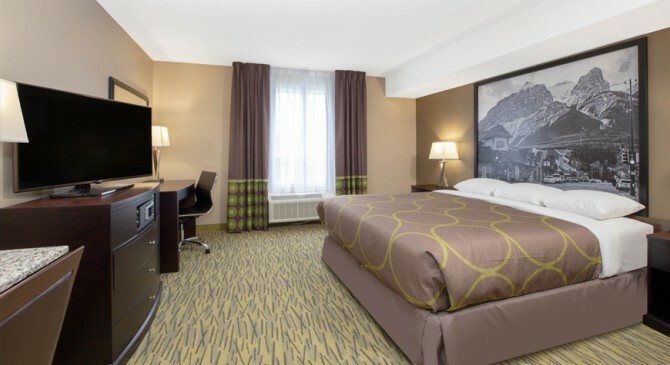 This non-smoking efficiency guest room offers one king bed, kitchenette for up to 2 guests. 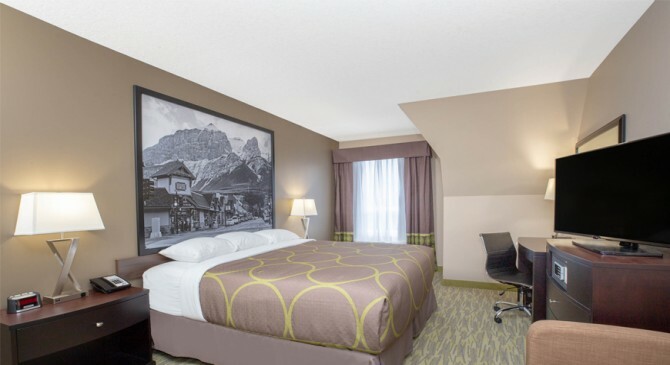 The room includes free breakfast, mini-refrigerator, microwave, toaster, coffee/tea maker,free high-speed Wi-Fi/Wired internet, cable TV, Air conditioning, in-room safe, iron/ironing board, and hairdryer to ensure comfort throughout your stay.